Adriane completed her Bachelors and Masters in Germany, majoring in Biology, Botany and Plant Physiology. 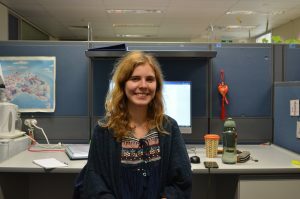 In 2018, she moved from Frankfurt to Adelaide to commence her PhD at The University of Adelaide, focusing on plant signalling in response to stress. To Adriane the most interesting part of her research is the complexity of plant systems, particularly the fact that plants are sessile and cannot run away from stresses like we can but instead must stay rooted to cope and survive.